"The world is a very small place, but for those who know it...it is very, very large. And the world, when it is viewed by those who 'know'— is far larger than just one world can hold!" 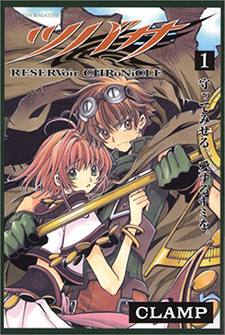 The famous CLAMP brings back the characters from all their creations for an ultimate showdown in this multi-dimensional tale. But the world is not so simple. The very moment these four made this decision, their destinies are sealed into a tragic course...as everyone in the group has their own secrets. Visions of the future are seen, and prophesies are made. The cruel future which lies ahead reads only of betrayal, abandonment, devastation and anguish.